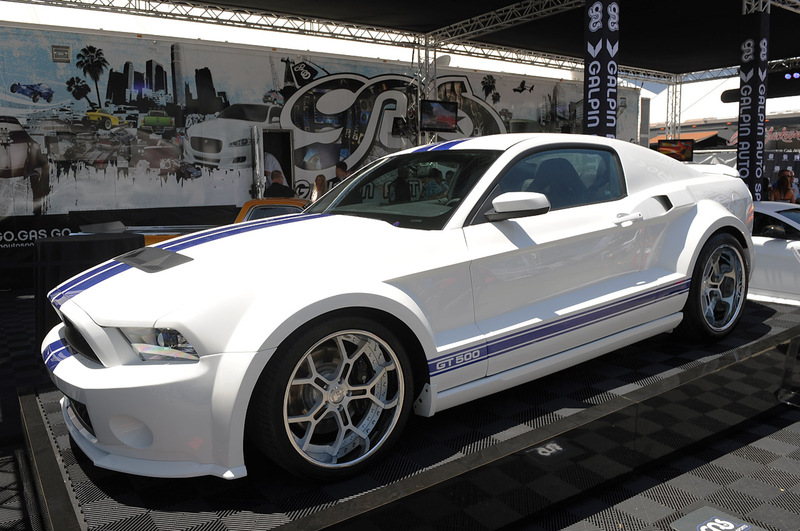 Last week at Barrett Jackson OC, Galpin Auto Sports unveiled their newest creation... a Wide-Bodied Shelby GT500. Now, this isn't like the wide-bodied Shelby Super Snake from SEMA that I graciously offered to GAS to relieve them of that burden, but this one is different. It looks like the GT500 was created to be slightly wider than the Super Snake. 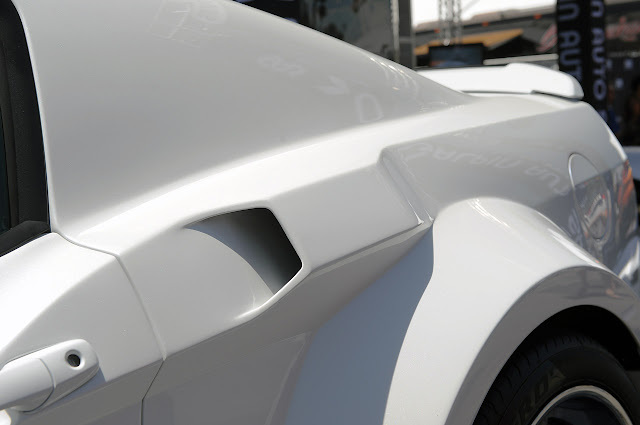 According to the folks at Mustangsdaily.com (because they literally know all things related to Mustangs), "The all-metal body panels add an incredible ten inches to the car – wider than any Mustang they’ve done – covering huge 20-inch three piece Forgiato wheels, 20×11.5 front and 20×13 rear, wrapped with Pirelli P-Zero tires, 295/30/20 front, 335/30/20 rear. 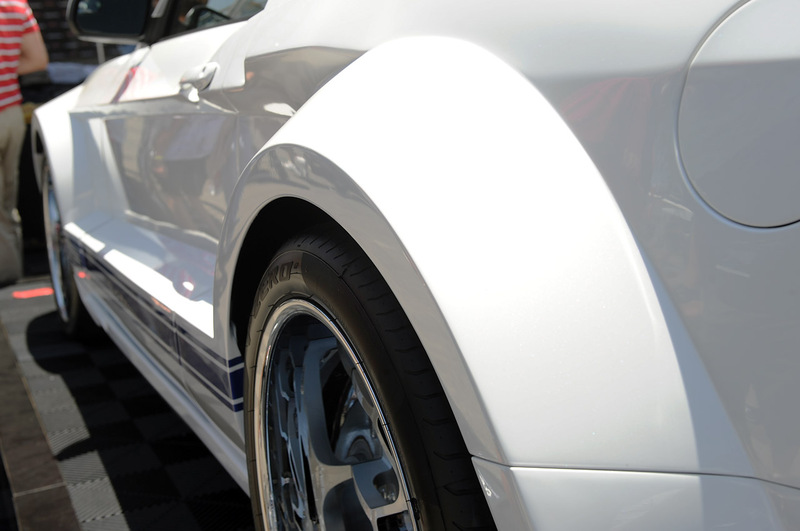 The car also features a Ford Racing suspension and Bassani exhaust system." GAS keeps their booth design consistant. 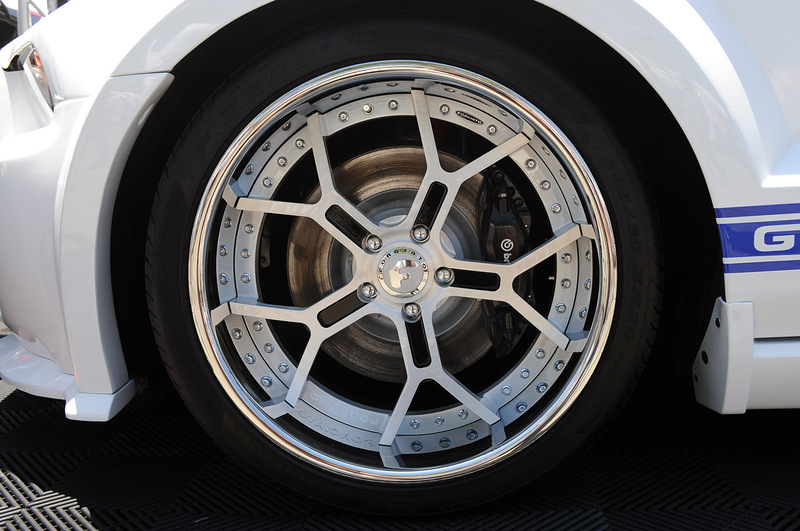 At first, I thought these photos were from SEMA. 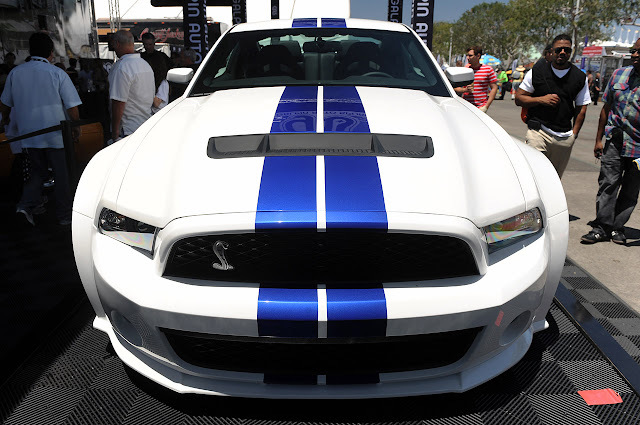 But the one thing I love about Galpin Auto Sport, is that they customize a lot of Ford Mustangs. 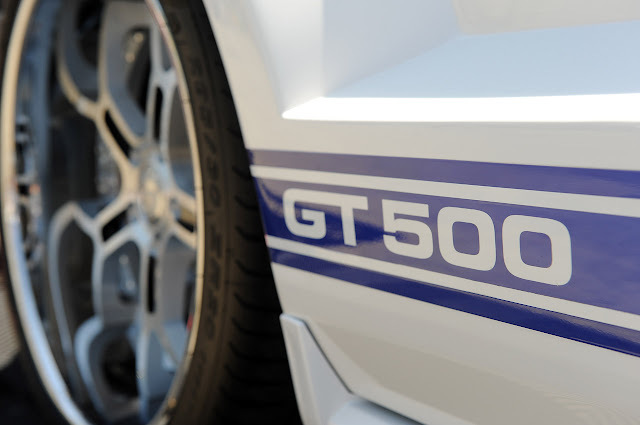 Most customization shops don't deal with that many Mustangs in their span of business compared to what GAS does in a year. Oddly enough, I like the Super Snake a little bit better.